If you want to breathe new life into your kitchen but don’t have the budget for a complete remodel, why not repaint your cabinets? Repainting your cabinets is a simple DIY project you can complete over a long weekend. Follow this step-by-step guide to get the bathroom or kitchen of your dreams. If you have any dents, holes, or scratches in your cabinets, you’ll also need a small putty knife and some wood putty. To easily remove any dirt or existing paint, use trisodium phosphate cleaner (TSP) and a sponge. Wear rubber gloves when working with TSP. 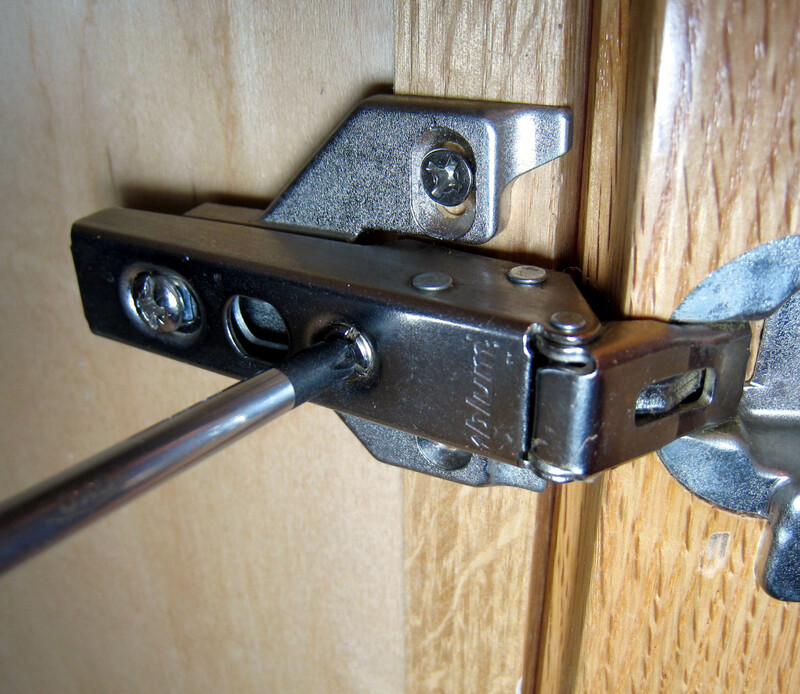 To prepare your cabinets for refinishing, you need to use a screwdriver (or a drill) to remove all of the hardware from your cabinets. If you plan on reusing the handles, pulls, and hinges, keep them in plastic bags and label them so you know which cabinets they came from. Set up your work table or sawhorses in a well-ventilated area. Carefully stack the cabinet doors and drawers near your work area. This is where you’ll be cleaning and painting your cabinet doors and drawers. If you know you’ll have 2-4 days of good weather, you should set up your work area outside for the best possible ventilation. Use drop cloths and painter’s tape to mask any areas around the cabinets to protect them from any paint splatters. 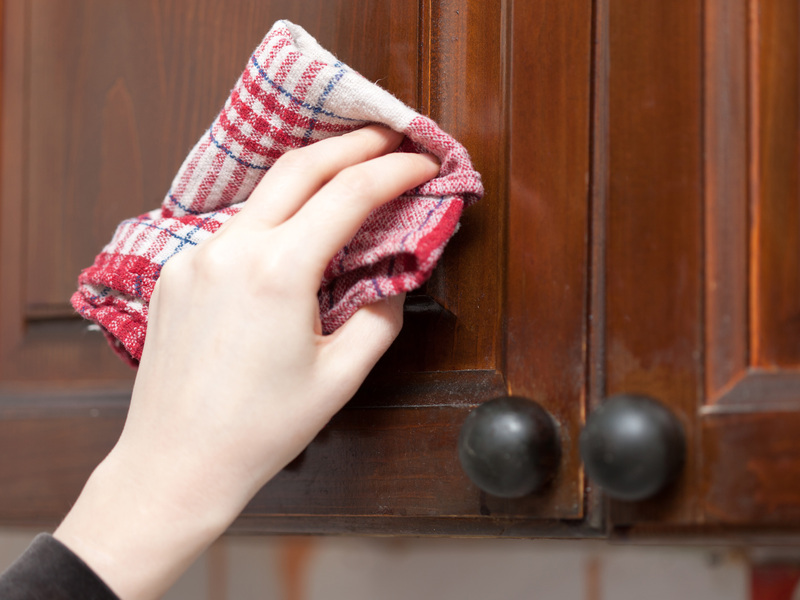 Use trisodium phosphate cleaner (TSP) to efficiently and effectively clean your cabinets. Be sure to follow the directions on the box and rinse with a damp sponge. You’ll need to clean the doors and drawers you removed as well as the cabinets themselves. Allow your cabinets to dry completely before sanding them with the 150-grit sandpaper. Put on your first coat of primer. If you’re painting your cabinets white, you can simply pick up any white primer off the shelf. 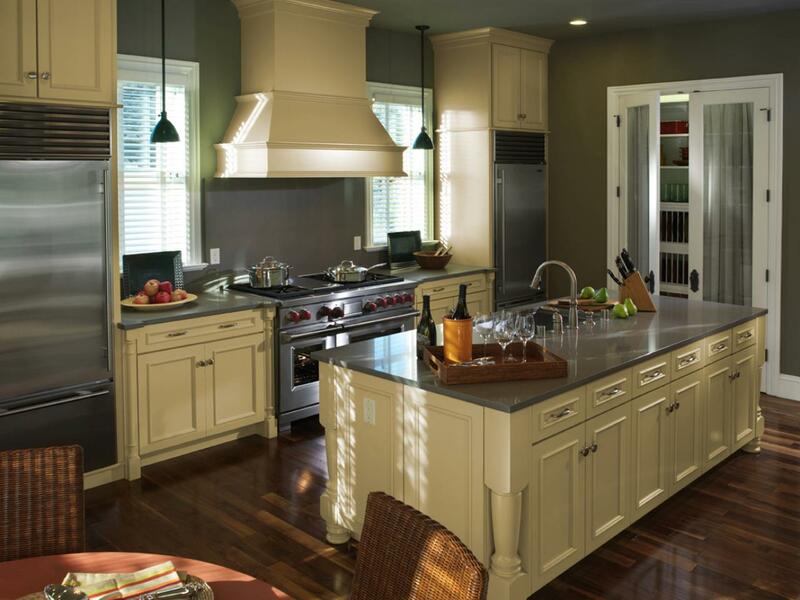 If you’re painting your cabinets a different color, you can have the paint specialist at your local home improvement store tint the primer so it will match your paint color. You’ll most likely need two coats of primer, though depending on the type of primer and the condition of your cabinets, you may be able to get away with only one coat of primer. Let the primer dry completely before applying another coat or your paint color. To paint the doors and drawers, set them up on your work table or on sawhorses. 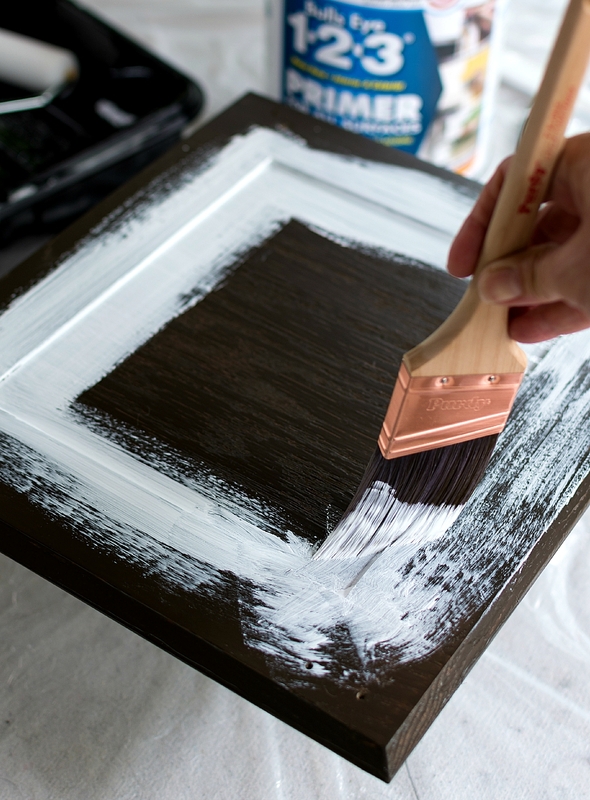 Use the roller to paint one side and all of the edges first and then let them completely dry, usually overnight. Flip them over and paint the other side. After your primer has dried completely, apply your paint. For the cabinet doors and drawers, follow the same steps you took to apply the primer. After both sides are completely dry, use the 220-grit sandpaper to lightly sand everything before applying the second coat. 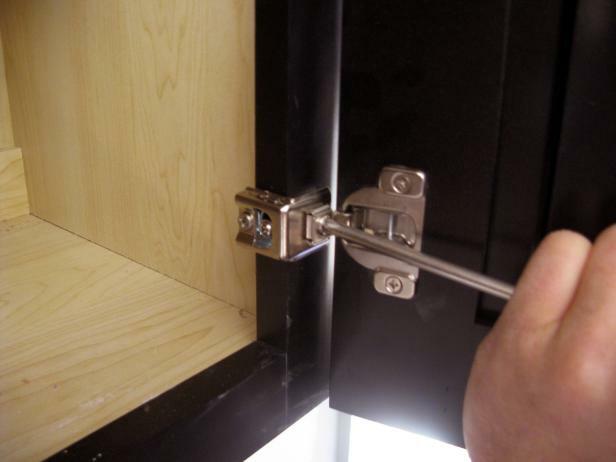 Use the existing hardware or whatever new hardware you purchased and attach the cabinet doors to the cabinets. Then put the drawers back in place. Whether you decided to repaint your kitchen cabinets or bathroom cabinets, you now get to enjoy your hard work for years to come. You’ll love how much money you saved by doing it yourself and you’ll be able to redo every cabinet in your home.